Into live stand up and variety shows? Well, head over to Union Hall on July 10 for Powerhouse. 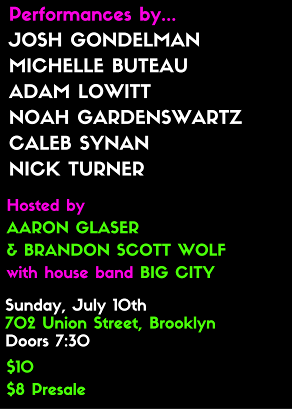 The show features Josh Gondelman, Michelle Buteau, Adam Lowitt, Noah Gardenswartz, Caleb Synan, Nick Turner and is hosted by Aaron Glaser & Brandon Scott Wolf. See below for more details.